The Robot Coupe dough mixers you get the best kitchen in the house which is available in this area. 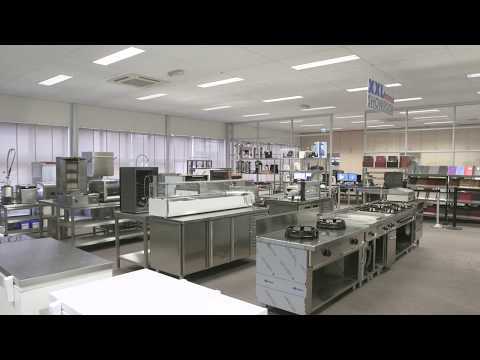 The originally French brand has been around for 40 years and has built an excellent reputation as a supplier of highly sustainable kitchen. Suitable for both the stiff whipping cream or protein as mixing dough or cake batter. This fully executed in high quality stainless steel dough mixer equipped with variable speed drives and convenient connections for various accessories. The perfectly polished casing makes cleaning the dough mixers very easily and is also carefully considered the tilting mechanism of the head. The 5 liter dough mixer RM5 Robot Coupe offers 10 different standard speeds and can handle in one pass 1.2kg dough. 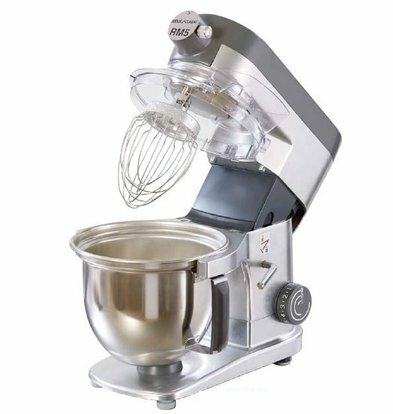 This dough mixer comes with different attachments and running at a speed of at least 50 up to 500 rpm. Now available with standard XXLhoreca discount of 20% on the original supplier price.